ROBUST 90CC ENGINE: The Grizzly 90's four-stroke SOHC 90cc engine is tuned to develop excellent low-to-mid-range performance. The engine is air cooled for simplicity, performance and long service life and utilizes proven wet-sump lubrication. 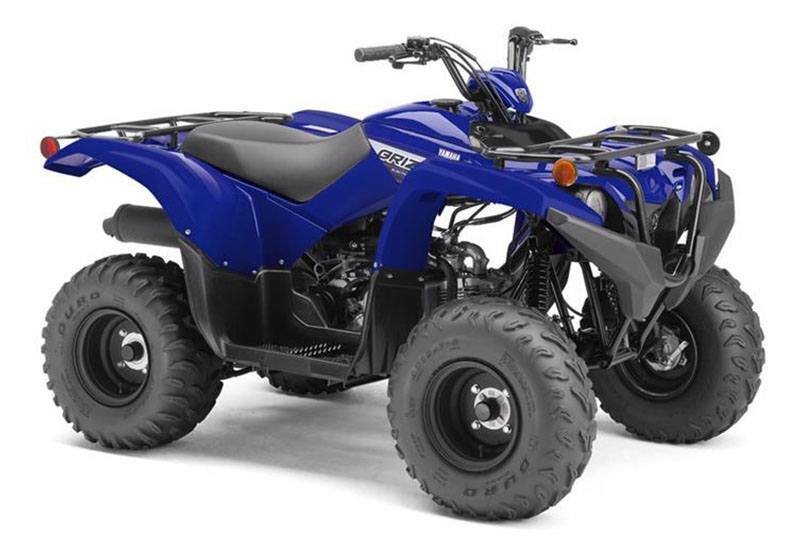 ADVENTURE-READY CHASSIS: Compact A-arm front suspension is tuned for light steering and comfortable ride quality, offering 5.0 inches of travel. 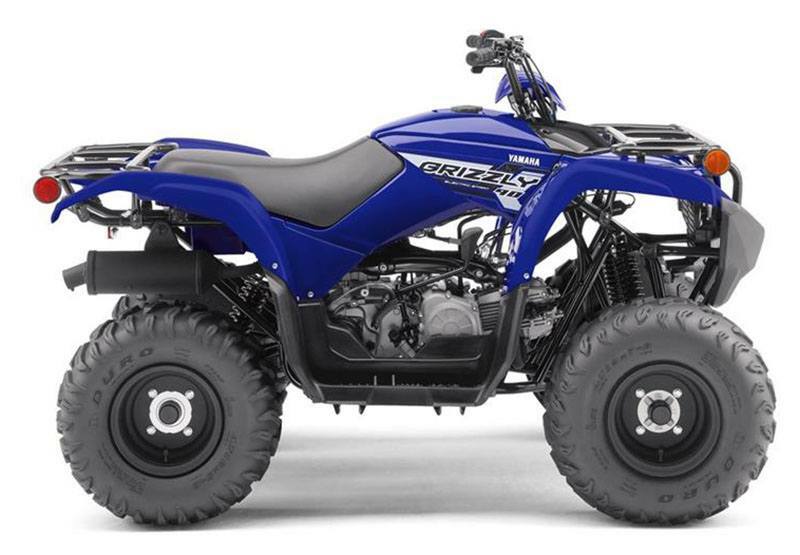 A swingarm set-up in the rear brings with it 5.7 inches of wheel travel, adding to the Grizzly 90's full-size look and feel. SECURE STOPPING POWER: For reliable stopping power, three sealed drum brakes bring the Grizzly 90 to a quick halt. 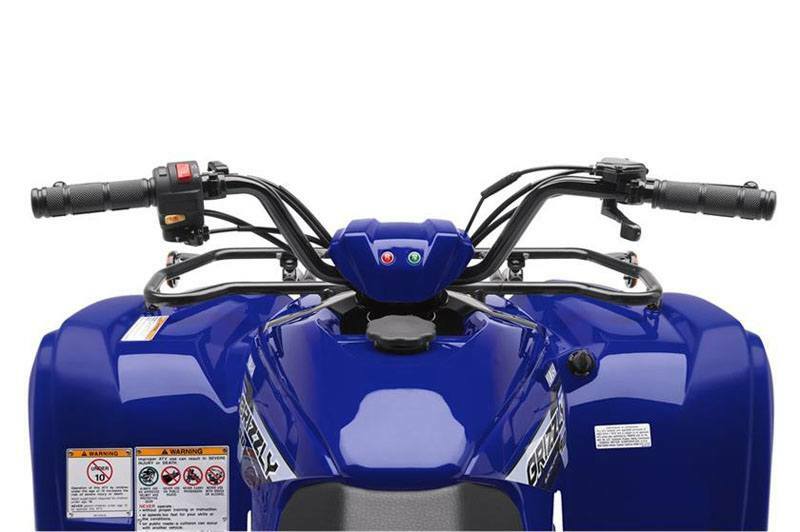 There's a handlebar-mounted parking brake, too. 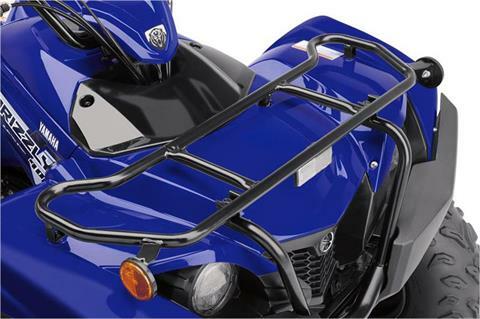 INTEGRATED CARGO RACKS: Robust steal cargo racks front and rear give younger riders the ability to pack their own gear as they join the family on their next adventure. RENOWNED GRIZZLY TRACTION: Just like its off-road proven big brother, the Grizzly 90 mounts aggressive tires inspired by the Grizzly 700 to maximize traction on any trail. The oversized 19-inch front tires give the compact machine an aggressive sense of style, too, complementing the 18-inch rear tires. 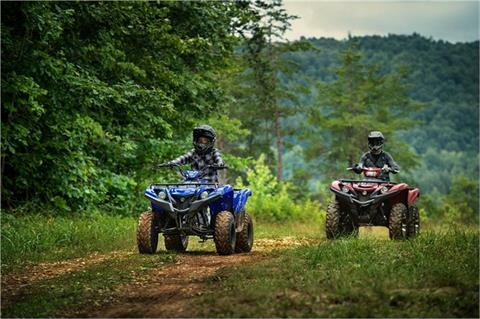 COMFORTABLE ACCOMMODATIONS: The Grizzly 90 is designed to be comfortable for a wide variety of riders 10 and up. 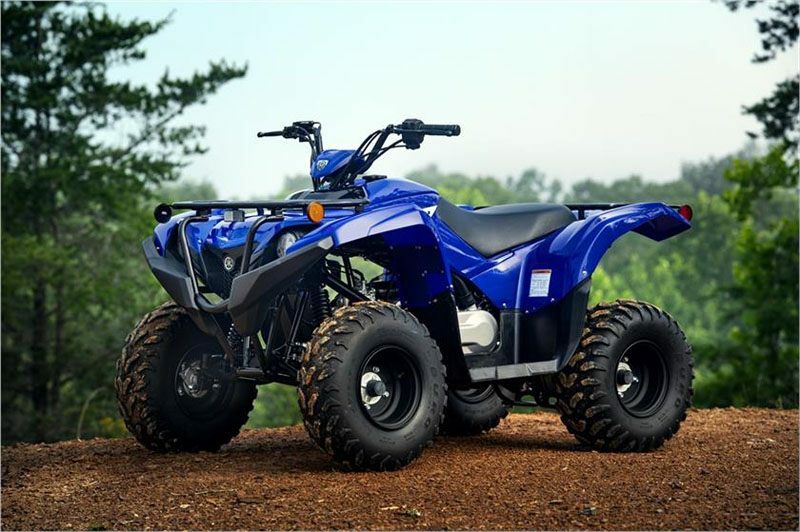 With its large and plush seat matched to wide floorboards, riders won't outgrow the machine as they build their off-road riding skills. BIG MUD-DEFLECTING FENDERS: The Grizzly 90 boasts full-coverage fenders just like its Grizzly siblings, enhancing style and protecting the rider from mud and trail debris. 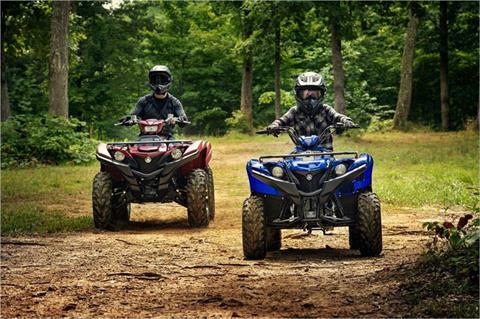 AUTOMATIC TRANSMISSION: Fully automatic, continuously variable transmission (CVT) means no shifting. 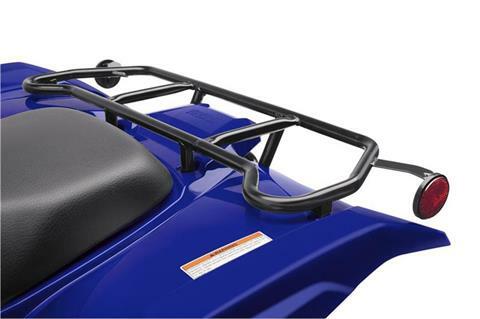 Handy for all riders, it's a feature entry-level riders 10 and up particularly appreciate. And standard reverse simplifies maneuvering the Grizzly 90 in tight spots. 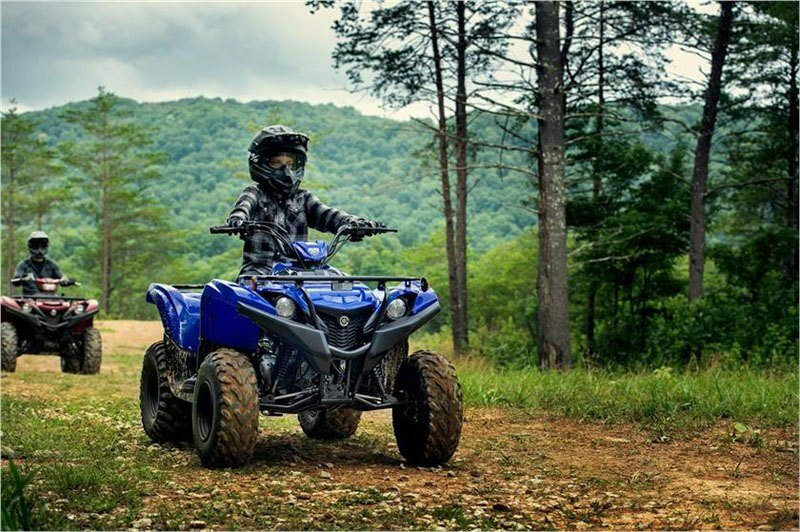 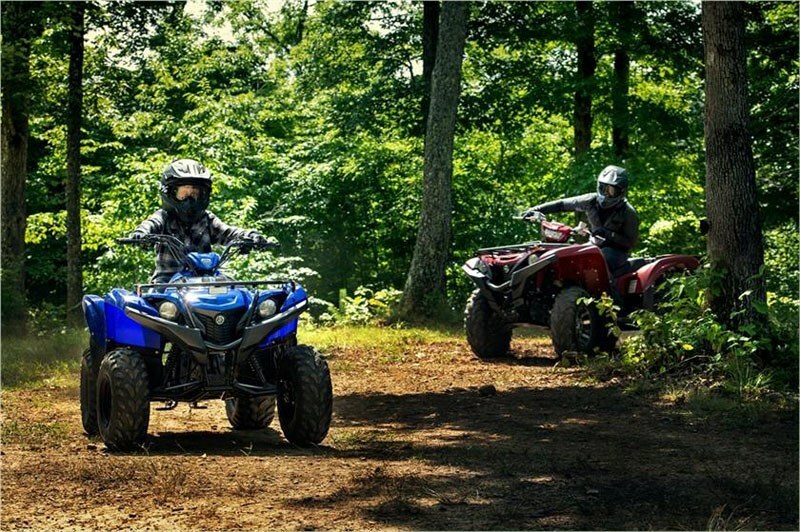 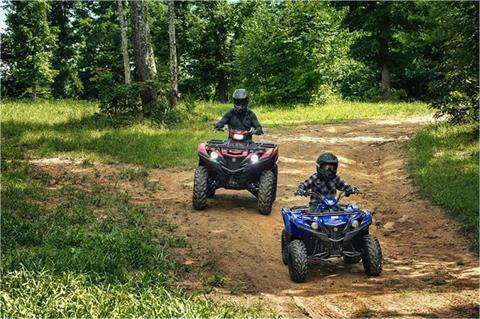 ENGINE LIMITER: To help young beginners grow into accomplished ATV riders, the Grizzly 90 includes an electronic limiter as well as a throttle limiter to restrict the engine's performance and adapt to the rider's advancing skill levels. 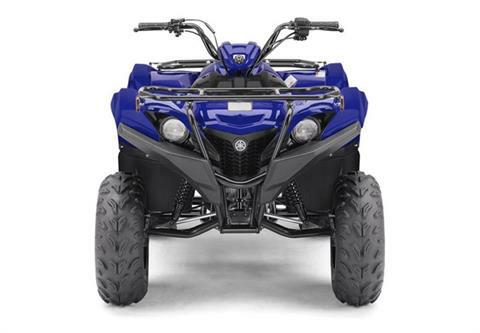 ELECTRIC STARTER: Push-button electric starting comes standard, and an emergency kick starter is also provided in a storage spot under the seat for additional peace of mind. 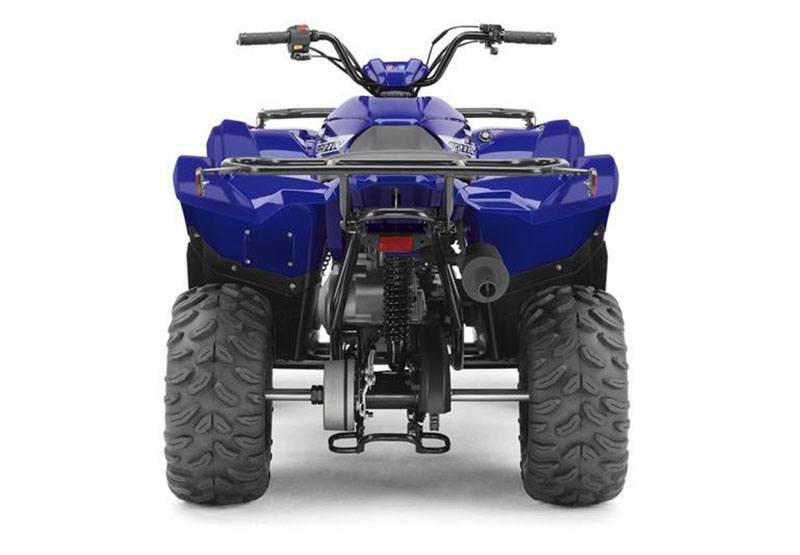 COMPACT AND DURABLE DRIVETRAIN: Engine power is transferred to the rear wheels via a tried-and-rue O-ring chain drive, running along a swingarm that's set at an optimized angle for superior rear shock performance. LOW MAINTENANCE DESIGN: Servicing is easy thanks to features like the tool-less quick-access air filter element. 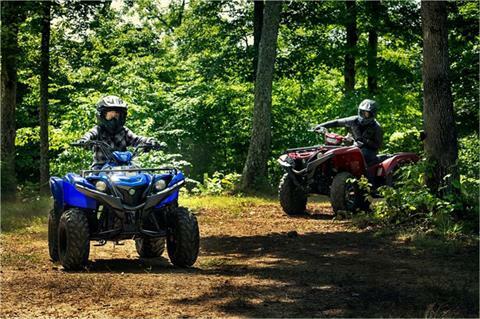 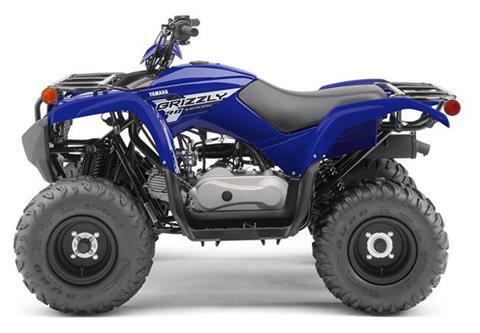 CONFIDENCE-INSPIRING 90CC ENGINE: The Grizzly® 90 is built to bring maximum fun to the youth ATV riders 10 and up, with a low-maintenance 90cc engine tuned to develop excellent low-to-mid range performance. It also features a fully automatic CVT transmission with reverse, a gated shifter, and electric start with back-up kickstart - all standard. 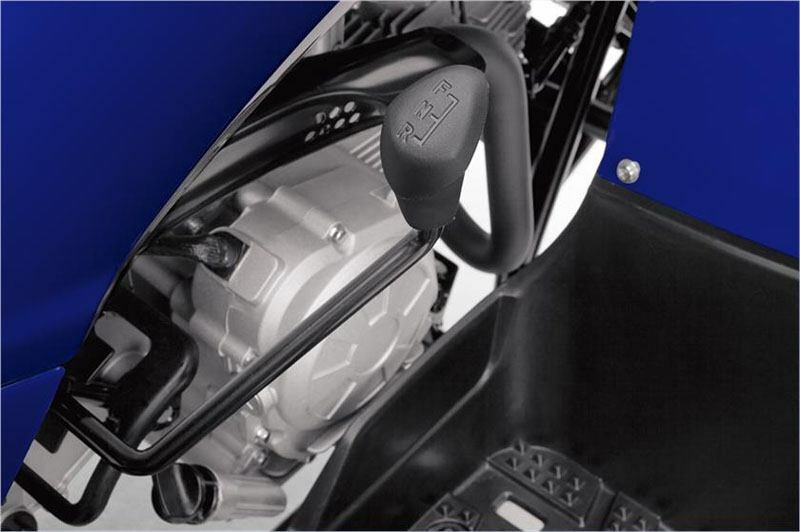 REDUCED MAINTENANCE DESIGN: Durable, proven components keep servicing simple and affordable, thanks to features like the tool-less quick-access air filter element. SCALED DOWN, NOT SCALED BACK: The Grizzly 90 takes cues from the top-performing Grizzly 700 but is designed specifically for younger rides just getting into the sport. 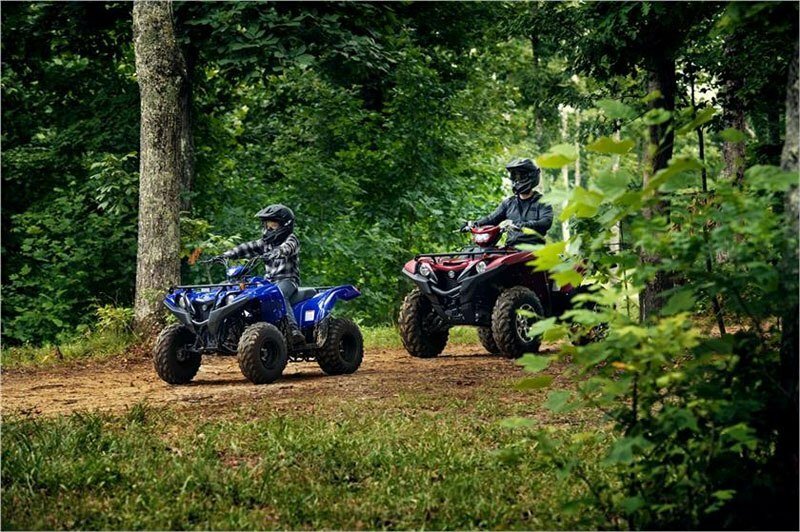 The result is accessible, confidence-inspiring performance with Grizzly family style. 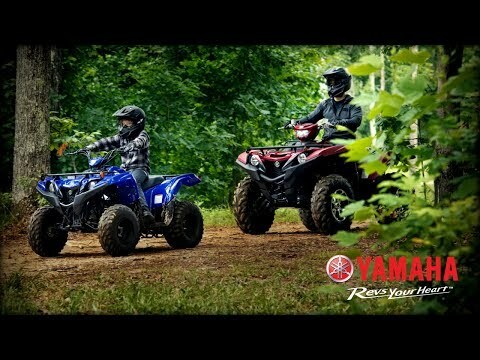 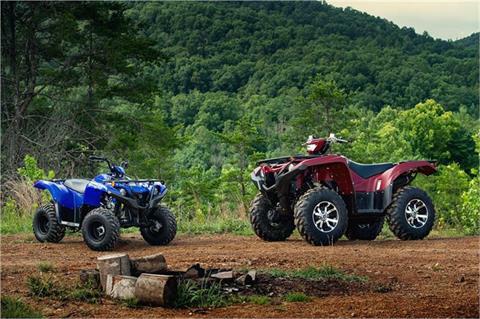 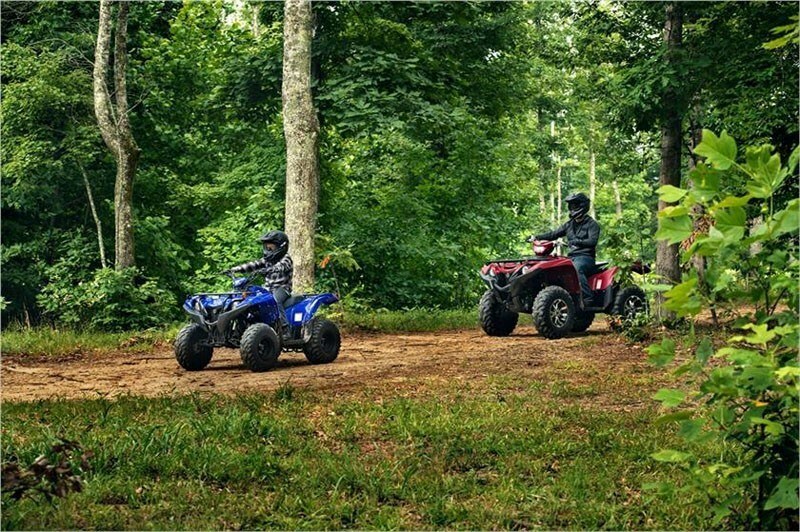 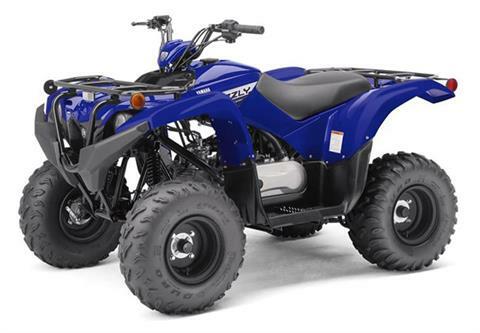 COMFORTABLE CHASSIS: The ergonomics are designed to fit a wide range of riders 10 and up, while the Grizzly 90's tire and suspension package is designed to find traction and provide a comfortable ride in a wide variety of terrain.